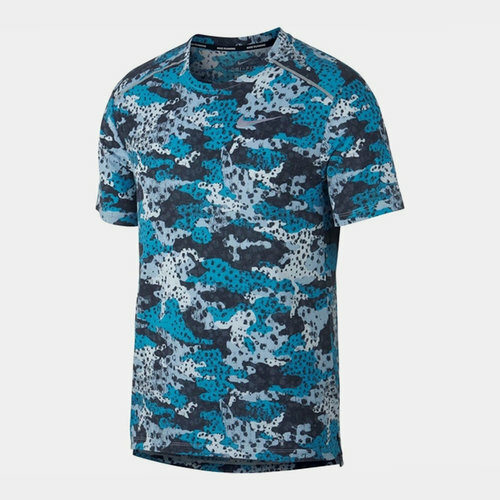 Look bold and stand out from the rest when you train in this Nike Breathe 365 Graphic Pattern Mens Tee in a Blue colourway. The Nike Breathe 365 Graphic Pattern Tee is a short sleeve, crew-neck t-shirt. It is designed with ventilated fabric and features an all-over pattern. The dropped hem has vents allowing airflow and crafted for a style served up for the ultimate run. Reflective detailing and a Nike Swoosh completes the look.